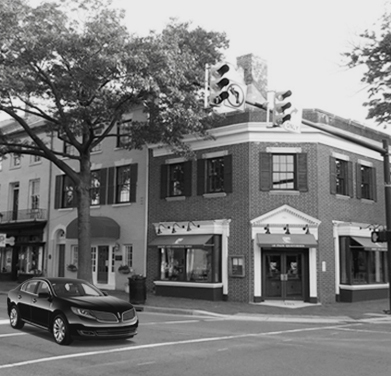 Are you an Alexandria resident looking for a reliable West End taxi service near my location? Do you want a taxi company that you can trust? You don’t need to look further. Truly! Alexandria Yellow Cab is one of the best taxi companies in Washington Metropolitan Area that serve West End and the other areas of Alexandria. Rest assured that they will get you to your destination on time, in safety and comfort. Where Is West End, Washington DC? West End is situated eight miles downtown Washington DC. The Alexandria Symphony Orchestra has stationed there as well as the Fort Ward Museum & Historic Site. The nearest Alexandria Yellow Cab will get you to your destination safely, no matter if you’re going to the airport (IAD, BWI or DCA), embarking on a long trip or have plans for a fantastic night out. AYC fleet of top of the line vehicles is ready to transport you wherever you direct us and provide the best rates for your transportation needs. Who’s Your Primary West End Transfer Provider? Hopefully, it’s not Uber. Why? Because, Alexandria Yellow Cab provides an exceptional taxi service near Washington DC, Northern Virginia, including (but not limited to) West End, Eisenhower Valley, Rosemont, and The Berg. You’re surely wondering what AYC’s formula for success is? Well, it’s quite simple actually. It includes customer care specialists and event planners as well as connected drivers who are constantly reporting the traffic situation and make the best use of that info. All the professionally trained chauffeurs in our ensemble are fully licensed and ready to provide the most courteous amenities, from hourly service to a wonderful city tour. Where Can I Find West End Affordable Taxi Service Nearby? Right here! Book the closest Alexandria taxicab ride, since you know that if you need a taxi cab transportation to or from the West End, this is the optimal option for you. All the vehicles are maintained and kept in perfect condition. In case you’re wondering: “What is the best, most affordable taxi near me?” Alexandria Yellow Cab is always the answer. Just a few clicks or a phone call at +1 703-549-2500, will do the trick. You’ll be on your way from Alexandria to Dulles, from National Harbor to Falls Church, or Parker-Gray or wherever else you want/need to go, in no time! This team is dedicated to bringing you the best possible experience when it comes your travels, have no doubt about it.